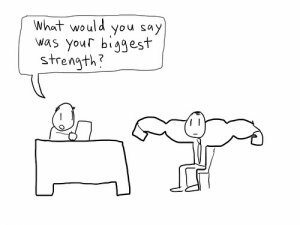 Artist interviews are unlike other job interviews. They can be very technical and detailed. The employer’s demand for proof of experience and skills requires the ability to deal with what can be tricky questions from experts. We’ve come up with a few ideas to help artists. Don’t answer questions that weren’t asked: Always stick to the original question. There’s a risk of adding superfluous information, or losing track of your answer. 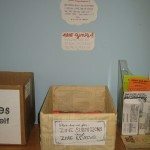 Use simple descriptions: Don’t refer to media, techniques or other subjects in obscure professional terms, unless the interviewer’s already using them. Not everybody knows what gouache is, or what Turner’s Venetian period means as an influence on your work. Use vernacular expressions only. Stay relevant: Avoid all off topic subjects, or any tangential statements which may confuse interviewers. Don’t be your own art critic: Stay away from any commentary on your work. Let the interviewers judge for themselves. Comments may produce negative reactions. 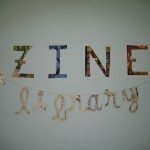 Question: What media and methodologies did you use in this piece? Answer: The background was created using photographic images on card. I did a collage, scanned it, and added digital media as the overlay. The question is looking for production techniques as a skills assessment. The answer is purely functional, describes media and methodologies in functional terms, and shows a clear process. 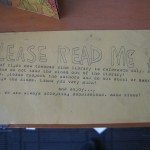 Question: What work can you show us that uses custom fonts? 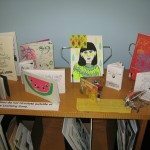 Answer: These pieces have fonts I made from scratch, using a pen and ink technique. I stylized the initials of the client’s brand name into a single design based on their logo. I then created the rest of the letters in the same style. The question needs to see the production method, explained as a structural technique. The answer demonstrates clear logic and methods. Question: What line drawing work have you done? Answer: I do line drawing for my current agency. 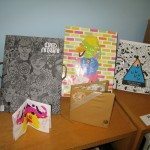 We have a series of line based designs (shows examples) which are based on a sketch style theme for a client. This question wants to see specific examples as a quality issue. Line drawing is a generic term, not requiring much explanation. A verbal explanation alone can’t answer the question as effectively. Question: What original graphics for ads have you created? Answer: I’ve created a lot of ads which involved producing original scenes for the products, like domestic, commercial or office scenes. (Shows selection of ads) These ads were all based on themes for the products, and I had to make the appropriate background settings. 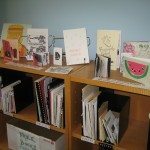 The question needs information regarding actual content to assess the artist’s abilities. Copies of the materials allow the interviewers to make an immediate judgment in relation to criteria for the job. Question: Can you show us your logo designs, and explain how they were made? Answer: (Shows copies of logos) I start with the logo design components, and work to scale ratios for each piece to create and construct the final design. The question refers to design methods. The answer is a simple but clear description of the process. Come one, come all! 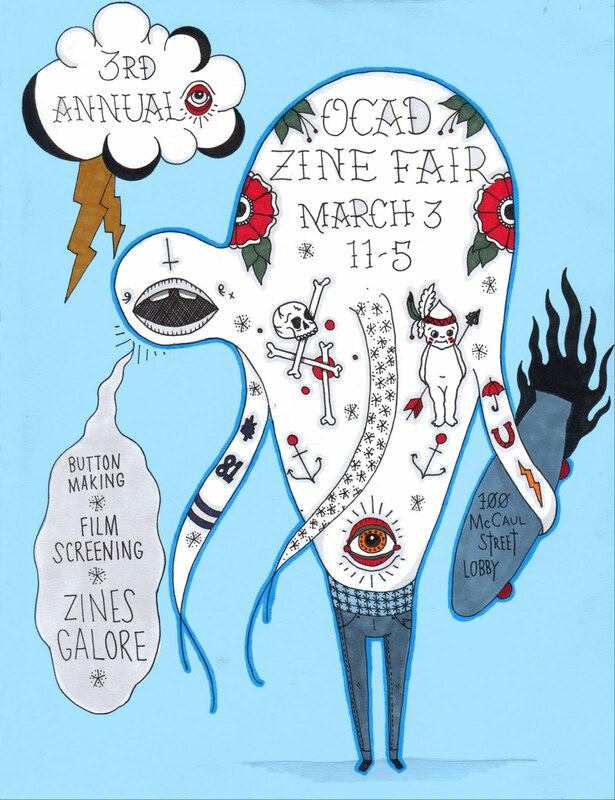 OCAD is hosting its annual Zine Fair at 100 McCaul St in the Lobby on March 3rd from 11-5pm. 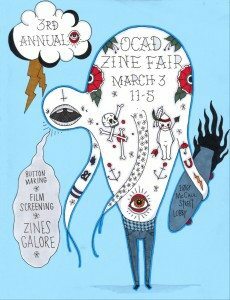 Come for the Zines, stay for the film screening and button making in room 187! That’s right—button making! 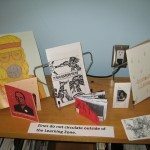 ALSO, if you didn’t already know, OCAD’s Zine collection can be found in the Learning Zone and is open to visits from the general public. 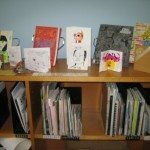 The collection is organized according to the following subjects: Art, Comics, Information/DIY, Music, Poetry, Politics, Queer, and Stories. 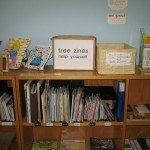 Make Zines? Want to share? We are always accepting submissions to the collection. 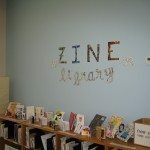 For more information visit the OCAD Zine Library’s blog, Zine’s for Lunch, or Facebook page. A high-speed journey aboard a TTC train, as it travels from Downsview Station (NW terminus) to Finch Station (NE terminus), in the wee hours of the morn, on Toronto’s Yonge-University-Spadina line. Software used: shake, soundhack, finalcut, perl.